Yikes! | Watts Up With That? Back on March 15th, 2009, I was amazed to find that WUWT hit 10 million on the internal WordPress hit counter. Now just six months later, I’m amazed again. Now, just three months later, I’m gobsmacked at hitting 30 million. Longtime reader and surfacestations volunteer Gary Boden sent me an interesting email a few days ago. First of all, here’s wishing you and your family a peaceful and blessed Christmas. Thirty million hits by 1 Jan 2010? WUWT is just about to pass 29 million on the Blog Stats hit counter with eleven days to go. You just may do it. WUWT will end up December 2009 with a new record in monthly traffic. Though it has dipped during the holidays. I’ll have more at years end. December 29, 2009 in Announcements. ← CRU's forecast: UK winter snowfall will become "a very rare and exciting event"
From one of your new readers and extremely interested Climategate observers… Congratulations! And climate progress just celebrated a topic having 8 responses. Just remember last month I pointed out you had a spike in visits but the e-mail fiasco was only announced for the last 1/3 of the month. IN this case, I guess, quantity and quality have a causative/correlative effect. Congratulations, and the honor is ours as readers and advocates of a reasoned analysis of climate. The efforts of people like you and McIntyre are a tremendous service to mankind – and I don’t feel that’s an exaggeration. The blog traffic is great news and gives me hope that the world may actually wake up sooner rather than later. Strength to strength. Congratulations Anthony, you have caught a wave of a yearning for knowledge and open discussion. Long may it continue. And it’s been our pleasure. Thirty Million visitors is a great new milestone, but its one that will easily be exceeded during the new year. Congratulations, we all appreciate what you do, not only for our own enlightenment, but for all of humanity that has for too long been kept in the dark about climate science. This is one site that I can visit morning, noon, and night and always find something new to read and more to learn. Thanks Anthony for a great site. May there be many more such pleasant surprises in your future. It’s a result of positive feedback. Eat your hearts out MSM and warmists! 2009 is the year the AGW hypothesis crumbled. Links, Co-workers,family,I’ve even converted a few warmists. E-mail E-Mail E-mail. I’ve been watching the sidebar numbers over the last two weeks in particular. It will be interesting to see the graph. Congratulations all round. I expect even greater interest when the surface station critique is ready. Well done on an incredible job. Great to have this rock in a sea of lunacy. From a very cold and still snow patched Pueblo, Colorado – Congrats and I echo the above!!! PS – Happy New Year! If you plot hits vs. time it will look like a…….hockey stick. WUWT: The new mainstream. . . .
Long may you run; and many thanks for a hugely valuable and important public service. Great site, look forward to viewing it everyday. Let’s just say: Copenhagen, that’s enough to describe WUWT achievements. Great job, Anthony, and congratulations. You have earned it, and this site is always interesting and informative. Congratulations Anthony. I’ve been viewing here for several years now and rarely spend a day without looking. We’re still trying to get a UK Surface Stations off the ground but it appears our network is even more unfathomable than elsewhere, despite our history. Actually I’d like to see the raw data behind this hockey stick claim. – or you don’t have the time for the “endless time-consuming demands for information”. The truth shall set you free. Keep on trucking Anthony, I’ll try and do my part by hitting your tip jar as money allows. I know it is not cheap to run a site like this. Congratulations on the milestone. You all deserve it. Logging on to your wedsite is the highly anticipated pleasure of my day. The energy flowing around your site is . . . energizing. Sorry – I only wanted to make the first line bold. Ainst yet mastered the text formatting. I also award you the anti-Barrie-Harrop (as in anti-particle) award for this year. Congrats, but y’all needed that holiday respite to catch your breaths and recharge your souls. 200,000+ hits/day is quite a number. We’ll soon see how the new year looks; will it remain settled down or will the wild ride resume? And then there is that small matter of the weblog awards voting that is supposed to kick in next week. Has been a pleasure to have helped in my own small way and im learning such a lot at the same time. Congratulations to Anthony and Team. 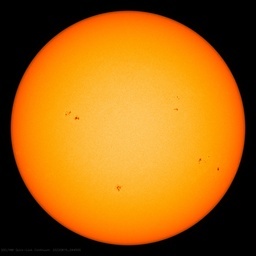 Life lessons learned at this site are more important than the light you throw on the global urban legend of catastrophic warming. I forgot to add the slash. Let’s see if this works. Only after ClimateGate did i look around for a more reliable source of information about AGW and all. It practically drew me to WUWT. There’s no other place like this to find information and really debate it without ending up in shouting matches. Befitting and gratifying just now. Thanks AW and friends for building this ark. The flood of deception is far more destructive than water! As a general rule, visitors should always feel free to explore advertisers of interest. I personally find the pro-AGW ads of particular interest. Does this mean a hockey stick graph for you? I’ll believe it when I see it! Or maybe not! Congratulations, happy and healthy new year to you and the team. Your audience awaits the new year with great expectations. In case people are not aware, Harropium is a name dropping, cut and paste particle from Australia, who couldn’t make a photo kiosk chain work. Meanwhile, attempts are being made to prevent WUWT appearing in the science blog category of the 2009 weblog awards. Yes, thanks for the truth Anthony. The free market of ideas and true scientific curiosity win again! Congratulations on a thought-provoking and valuable web site. For comparison, I asked the CRU how many hits their site had received over the last three months but they said that they didn’t keep the raw data although the adjusted data could be made available. A truly “rare and exciting event” that CRU would have never predicted! And it’s all due to one simple premise….honesty. This is where you can come and find the truth, whether it’s good news or bad. Oh sure, now I’ve got Hit Envy. Congrats! Now, what do you do with all your ‘spare’ time? Something about building a better mouse trap? This site has been a great resource. Those of us with scientific backgrounds but little or no training in climate science are especially appreciative!! The first place I look when I want to know what’s going on in climate science. That’s becoming the case for more people every day. I read this blog and TAV + CA because there is no BS and the science is reasoned and clear and the figures can be openly disputed, encore WUWT! It is a duty to uphold the truth and allow (and make – through logical, rational TESTED science and argument) people to see reason. Don’t stop (the blogs) keep ’em coming. If the Earth has a fever, what does Anthony have?? Carpal Tunnel?? Herzliche Gratulation aus den Schweizer Bergen. It’s an every day mandatory visit for me. Thanks for everything. Best regards from the snowed in Swiss mountains. I’d like to remind readers that clicking thru the advertisers’ links will help fund this site. So deserved! Truth tells! And so does the quality of the material presented. Thanks for the ongoing education is how science works Anthony. Is sure damm cold in Europe right now. Here, in Portugal, we have few information about climate, so I read this blog allmost every day. Thank you, Antony! Congratulations Anthony and the team! Thank you for such a great informative site. The readers of WUWT also deserve appreciation for maintaining the quality of discussions with their comments. Wishing everyone the best in 2010 and beyond. Most highly excellent work. You had to know this was coming. I predict you will break records in the coming year as well. largely inciteful commentary by an informed and intelligent readership. Congratulations Anthony, guest contributors, and moderators for an incredible web site! Like many others who seek informative and non-value-added science, your site is where I enjoy my morning coffee and evening reading time. With 30 million hits as a clear testimony, WUWT has become one of the leading on-line forums for unbiased scientific inquiry and discussion. Many thanks, Anthony! Also big thanks to the contributors for helping educate and enlighten me about the fascinating world we live in. I think I said something to that effect that I had learned more science from this site in one year than in the previous 60 in total. That was when I said congratulations for the 20m. I don’t know what to say for another 10m in the space of a few months. ‘Awesome’ doesn’t start to describe it. Or WUWT itself, come to that! I’d love to see an old Neo Trace IP map of whereabouts the hits are coming from, showing the worldwide spread as it grows, and a nice simple unadjusted graph. That’s a genuine tribute to your vision with this site. You’ve successfully tapped into a desire for truth, alternate sources of information, and honest debate. Because of WUWT and a handful of other sites, the debate is not over, it’s just picking up speed. Congratulations, and may you reach 50 million next year! When your butterfly emerges from its chrysalis, send yellow Birth Announcements. Two thumbs up!! May your 2010 be just as successful as this year. Maybe you’ll find another bone like “climate / hockey stick / bad programming / cherry picking / gate” type things for us to chew on. This is a great earth science & other issues of the day site. Hat tip to all of your contributors as well for their exellent works and comments. Job well done folks! Thank you and congratulations. Well done. Best wishes for a productive and enlightening 2010. The mean temp for December in Lethbridge, Alberta will end up at -14°C which is a huge 8C° below the 1971 to 2000 December average. 30,000,000 and rising. If this keeps up, it won’t be long before the number of WUWT hits reaches the temperature of the earth just below the surface. Great job Anthony, you are doing the world a service. I am an engineer and like being able to read your information and make my own opinions. I do not like to be told how and what to think without the details behind the reasoning. Following the weather is a hobby for me for the last 30 years and I have learned loads from you web site and have the Widget linked so others can read as well. http://home.roadrunner.com/~sherwoodweather/ Back in the day Walter Cronkite and the NYT would have said “That’s the way it is” and everyone would have believed and walked off the cliff. No more is that the case…..God Bless you and your family. and a billion by 2012. Now you’ve got it from Switzerland and Germany. Let’s see how many countries you can get a congratulations. C’mon you Europeans, it’s not too late yet! Anthony, I don’t think you can overstate just how much of an effect you and Steve are making. You are changing history. Thanks! The inciteful is casual, the insightful is causal here. I too suggested, when you passed 20M, it would be 30M by christmas (still within the 12 days of -). This makes me a better prophet than Al Gore. Why aren’t I as rich as him? If you click on the sitemeter icon above and to the right, it will take you to http://s36.sitemeter.com/stats.asp?site=s36wattsup which has maps and other data. The only, err, excuse me, hockey stick claim I see is was toungue-in-cheek. The 10/20/30 Mhit data is more like an exponential curve, but the Sitemeter folks can give you the graph of the last 12 months of hits, and that doesn’t look like any hockey stick I want to play with. Flat from March to September, then September – Decemeber each have more hits than the preceeding month. I don’t know about WUWT, but the raw data for my web site is surprsingly dirty, the main artefact is to see multiple hits for the same page within a few seconds. It may be to network delays, internal delays at my ISP, I’m not sure. I also see hits to several pages in a few seconds, that may be due to browsers prefetching several pages. Then again, the web page visit thermometers were not designed to look for tiny variances within a noisy environment. Each hit record is typically 100 characters of ASCII data, so you’re looking for 3 GB of uncompressed data. You deserve it, Anthony and moderators. I came across this blog as a geologist about a year ago, out of curiosity really. Now I’m almost a (skeptical) climatologist – some of the physics is still quite tough though! Oh – and a Happy New Year to all at WUWT and all of the very significant contributors (including dear Peter Hearnden on the moor) – could be a Very Interesting Year. Congratulations from Dunedin New Zealand. Your site is an oasis of sanity in the present version of ‘tulipmamia’ that is sweeping the world. Keep it up – the real and immediate danger is to the economic threat this mania is bringing to us all. Don’t look now, but based on these data, the rate of change of your hits is increasing! Unlike, say, circulation of the WaPo and NYT, the percentage of Americans who “believe” in the AGW thesis, or average global temperature. Quick, Anthony! Hide the incline! As we used to say in the dairy business, Cream Rises. Congratulations, where do I vote? BTW, my guess is that you’re catching-up quick with some of the mainstream media. Anybody have numbers for NYT, WaPo, ABC and their ilk? Well, then try using “Mike’s Nature trick” and you’ll get one you can play with! Unprecedented. You clearly have reached a tipping point. Congrats, and let’s hope that 2009 will be remembered as the year the AGW-hype fell to pieces thanks to WUWT and others. I’ll bet 2010 will bring great changes and that the warmists will be the new deniers!! Much of the fine recent surge is due to climate gate. On Nov 20 or 21 I said the first thing they would claim is the e-mails were taken out of context. Well back at the warmistas. I doubt there would have been much upward action this fall and a spike in Nov if the Cartelhad released FOIA data and info on request years ago. We know 2 motives they had to hide data. One is adjustment and the other is the boosting from the models. The carbo climate crisis cartel was the trigger for this board. JOnes and Mann, thanks for all the help. Many Congratulations on a magnificent achievement. You, with Steve at Climate Audit (Oh sorry, I forgot that you virtually run that blog too!) are almost dounle-handed repelling the AGW wave. Here’s to you for 2010 and many more hits. Congratulations, Anthony and your team! Way before ClimateGate I came here just to learn – didn’t post as I’m not a climate scientist. Coming here was also a respite: an island of sanity, where truly fascinating things were debated, from sun spots to ice sheets. Long may it continue – this site is one of the best, if not the best, place for learned debate. I’m a retired science teacher and I’m very concerned about the continued dumbing down of science in schools, including here in Canada. Your blog is one that I access every day to see what some of the more knowledgeable people are discussing. Suggested links are appreciated. I hope more people will go to Doug L. Hoffman’s fine “theresilientearth.com” for some excellent articles on geological and climate history. I purchased the book co-authored by Doug and Allen Simmons and I plan to draw it to the attention of the local school authorities as a source for senior high students. I’ll also give them a list of blogs such as yours to allow teachers to have some balance in any climate related discussions. I realize I could be wating my time but it’s worth a try. WUWT is beginning to mean We Understand Weather Too (much to the chagrin of those that would baffle the masses with their fudge factors and other nefarious actions). BTW, if China has lifted it’s ban on WUWT, your hit count will skyrocket. It is evident that people are starved for unbiased, non-dumbed down, non-doctrinal information and discussion on this subject. Humans are by nature curious and inquisitive. People are sick of getting “scientists agree that…”, “the science says…” rammed down their throats, and belief in the doctrinal truths being treated as a moral question. The tide is most assuredly turning (as is the climate). Well, WUWT has certainly become an indispensible blog for me. But what I’d like to know is who was the 30 millionth visitor and what does he/she get? I appreciate your and your fellows work so much. Carry on! Congratulations!! Going to your site is part of my morning ritual. Have to read the truth before I open my daily newspaper. Thank you for this wonderful resource and vibrant online community! May it continue to achieve greater success and recognition! A very big thank you to all the moderators for facilitating good standards and maintaining openness. Congrats from England! But just remember you have the CRU to thank for you rapid rise! Picks up coat, and heads for the door……. Speaks loudly to the hunger of the human mind. congratulations, well earned and deeply appreciated. Congratulations! Anthony, you deserve it! Keep up the good work Anthony, and many thanks to you and the team for the enjoyment WUWT gives me. The climate debate is far from over. Wow. Just wow. Congrats Anthony and mods and readers and posters too. And even you few dedicated conspiracy theorists as well. Happy New Year while I’m at it! And whatever the topic is, the comments also make WUWT worth visiting! Keep up the excellent work and – let me soothsay a little – 100 Million will be just around the corner! Ok, that might be a ways away but within sight. Yes, it’s treatening to ruin my sleep. Among many other things, it dispells the vacuous elitist notion that only MSM “Journalists” with their “layers and layers” of editorial/peer review can report and discuss News, which now even involves anything the MSM wants to say it is, but nothing else. Wrong, as proven and still counting! “threatening” – I blame WUWT! Congrats! It certainly demonstrates the enormous wealth of information WUWT readers have come to rely on. Pat yourselves on the back for a job well done, and best wishes in 2010. This is happening much faster than my models predicted it would. Therefore, it must be wrong. I am resetting your page view count back to 20 million now. But seriously, congrats, Anthony. You deserve it. That’s actually very hard to identify – the real winner would be just an IP address, and for my hit to read this post it’s just a corporate proxy server that has likely forgotten who made the request. I did identify the person who entered the 250,000th comment, but I don’t know if he ever heard the news and I forget who it was anyway. BTW, yours was comment 275895. Anthony, my sincerest congratulations to you for WUWT. Very special congratulations must go to the Moderators, those all-too-often unsung heroes whose efforts keep this site from descending into flame-wars and name calling. It is the civility which permeates this site which makes it so special: everyone is welcome, all ideas are considered and all reasonable comments are published. The vast amount of work that it must take to keep WUWT going can only be imagined. To hit the 30 million hits mark must be some small reward for the WUWT Team. I imagine that your readership is the envy of more than a few of the MSM organisations! Keep up the efforts Anthony and the Mods, we really do appreciate what you have achieved in producing this marvellous resource, this WUWT. You’re getting famous faster than previously expected. Congratulations. I hope we all did our part by re-Tweeting posts, adding them to Facebook pages etc thereby inviting others to enjoy the excellent posts on WUWT. We are behind you. Keep the pressure up. Excellent Job!!!!! Congrats on ethical treatment of skeptic and believer alike! This is absolutely fantastic. Mainstream media? What mainstream media? WUWT is now the antidote to mainstream media. Soon, Anthony, you’re going to be right up there with Al Gore. Only this time, you will tell the world about the real inconvenient truth, not the fake inconvenient truth of yore, err… I mean Gore. And then brace yourself for your own Nobel Peace Prize and an Oscar nomination. Ok, I’m only kidding about that last part. Is that just “Hits” or “Unique” visitors, eh? Real Climate could learn something from you Anthony! Totally agree with the above statement of J. P. Once you get away from the MSM (and some fake alternative news, too) you realize just how far fetched their reporting has become. Often the MSM are weeks behind in their reporting of “breaking news” and then almost always it lacks in substance and anaylysis. The scripted bantor is annoying and often is only relaying false alternatives. The unmentioned version is often where the truth lies. This site is one of the places to visit for the other more accurate version you will not get on TV/Newspapers/Radio. Warm congratulations (if you’ll pardon the pun!) from Fiona and her Mum, Janet in Yorkshire, England. WUWT and EU Referendum are the only 2 blogs we have to read every day. Thanks Anthony for linking to his posts from time to time. His recent posts on Dr Paucharis financial shenanigans underpins what a major scam this really is. I liked one description of Dr P as a “Carboneer” as in privateer or pirate helping himself to other peoples money! Long may you continue to shine a light into the darkest corners of the AGW conspiracy. Clearly more people than ever before are waking up to the COLD facts! We wish you all the best and will support you all the way. Congrats Andy. What I’d like to see, as one who builds Web site strategies for clients, is the number of new visitors and how they got there, their duration of stay and the number of page views—that way you can see how deep people are diving into the site for information. The reason I come here is because I get the latest news about the world weather and then lots of news and links from the comments section. People post links to the sites they consider the best, so it is an excellent filtering system, saves me having to wade through the web doing searches. There is excellent moderation and I do not have to put up with inane trolls here and game playing. Given that the AGW crowd have been shown by climategate whistleblowing emails to kneecap anyone who disagrees with them, I surmise that the moderators have to deal with a lot of that sort of stuff here probably on a daily basis. In addition to Anthony’s comments, the standard of comments by the visitors shows (to me at least) that there are many intelligent and just plain “nice” people visiting here. It may be a “virtual” community, but it is uplifting. Here’s an idea. Your popularity is such that you could start your own radio show dedicated to global warming skeptism. Advertisers would flock to it, even the carbon traders. And the hits just keep on coming. Congratulations, Anthony, moderators, guest posters. A favorite site for me, wish I could keep up with all the posts and comments. As an aside, it would be quite interesting to periodically compare how the economies of states with Cap and Trade laws fare against those without such laws. Assuming, of course, that no federal law is passed. California and a few others now have such laws. If reducing CO2 via green laws is so good, California should be leading the nation in economic activity and low unemployment. Quite the contrary, actually. Bob Kutz in the previous thread stated that “your side’s credibility fades by the day” referring to the skeptical view. I guess that explains the mere 30,000,000 hits. Thank you Anthony and team for you selfless efforts in maintaining this wonderful forum. I would like people to examine and expose exactly what is taught in the various “climate science” departments attached to the various universities around the world. If these departments are turning out people who all agree with the AGW thesis (I don’t know that they are, but they seem to), are they teaching science? How much maths, what sort of maths and physics, and so on. I would see this as a legitimate scientific research project similar to the surface stations project. THEY SMACK YOU WITH GOB !! You all have brought education and reading pleasure to my life. Thank you all sincerely. Honoured to have a link to WUWT on my blog! Anthony, oh, wonders, and thank you. These last few days I’ve been working on and around the nascent wiki Neutralpedia to enable it to become the vehicle for the climate science, data, and story that we need for the future. A competitor to Wikipedia would not only be good in its own right, it might give the incentive WP needs to reform. I hope that NP may become a work-and-fun-place where the increasing number of readers and contributors here can really help rebuild the science – or rather, put together the work seen here into an encyclopedic, coherent form. Congratulations Anthony, the amount of work you and the mods put into this site is amazing. But if I could make one comment…with that many readers the influence of this site is approaching that of MSM with the added value of allowing scientific debate. It is important to keep the debate open and not restrict the scientific comment to certain areas that you think are right…..the site is bigger than the man and open science must prevail. Hoping the blog moves on to bigger and better things in 2010. Just goes to show that people crave honest, clearly presented information and mature discussion without the nastiness that the ‘warmers’ seem to use at every opportunity, if the opinion does not match their ‘belief’. It is cool and raining here in the middle of summer in Queensland. Thankyou all for your hard work. If the MSM had done their work properly you would not have been so successful. But they didn’t and you did – the rest is history! It’s all been said: awesome; no one/no blog more deserving of such an international readership; and, especially, it is our pleasure! Great, deep satisfaction. When I make lists of sites to recommend for decent information in the climate debate, WUWT is always on these lists. The site is doing a very fine job and deserves the success! Your blog is so clear and the forum full of many interesting informations, fun to read too! Here it’s still an information blackout. Only some minor media mentionned man made global scam . And yes on wikipedia.fr too the warmist cult locked the entry. Good stuff always goes well. Keep it up!! LMSM =CMSM The head does the “news planning” while the two mouths of the monster give you the inaccurate versions to fight over. The truth lies outside the MSM – L or C. Stay out and think out of their box. Just wanted to say, again, many thanks for all the work you and your moderators do, Anthony, in providing a constant stream of informative, eye-opening and sometimes highly entertaining posts. Thanks also to all the interesting links provided by the many wonderful commentators here. I wonder if other daily visitors’ families are as fed up with them as my family is with me? At least I have a professional excuse, and you are providing an ESSENTIAL service here. Thanks! Thanks! Thanks! Wow. Excellent idea. However, eliminating bias is easier said than done. It seems to always lead to an infinite regress as in, who watches the watchers or who moderates the moderators? But I am sure you’re aware of that. Besides, it does not have to be perfect, just more neutral than that bastion of political correctness and global warming lies, Wikipedia. Almost exactly two years since I discovered WUWT and started to see the light. Thank you. Great work! Looking forward to more great posts and breaking info in 2010!! Congratulations, but without wishing to rain on the parade, it is all part of the world wide, seismic shift in public opinion. Congratulations Anthony! And thanks again for all your hard work. Please stay the course and 2010 may finally open the eyes of people and the old media. Wonderful stats Anthony! This shows that a hell of a lot of people are looking for the truth and they will find it here. This is my favourite site. Thanks all at WUWT. Unfortunately, our authoritan Labor government on Australia is still pushing ahead with it’s ”Internet Filter”. I just hope I can still read WUWT in 6 months time. I’ve been following your blogging ever since you began the surface stations project (an outgrowth of your initial queries at Roger Pielke Sr’s climate blog). Thanks for bringing some sanity to the often insane world of climate science. I think a global map with all the locations of visitors plotted on it would be swell. I found a link to your site when the Climategate scandal broke. Since then I have added your site to my favorites list. I am just a layman when it comes to technical science, but I muddle my way through and glean any information I can. I appreciate the weather (not just climate change) stories also. Thanks for what you do. 30 Million hits and accelerating. You know that as soon as the CRU team hears of this they’re going to move one of their weather stations right next to your servers. WUWT is playing a vital role with articles on natural climate variations. Both right- & left-wing elites want the fake climate bubble (both financial & political) to remain intact as an artificial, polarizing control-lever. THE PEOPLE are under attack on one front that appears as two. Perhaps only via a fiercely bipartisan populist movement (perhaps in part led by WUWT) can left- & right- layman wings survive the deliberately-polarizing control-tactics of corrupt, bipartisan elite allies (who are clearly attempting to enlist us in infowars that will ensure our own (class) demise). Well done Anthony. Puts the MSM sites to shame… time to drive up those advertising rates! Note to advertisers… you’re wasting your money on MSM – WUWT delivers huge audiences for your quality products and services! I’ve been reading you since you started. A very good information blog as far as I am concerned…. Personally, I think some Calendar girls in Lab Coats might have got you to 40 million. Instead of dumb Poley bears. I still wish you’d advertise, even just once, on the front page of Yahoo. I’d contribute to help it happen. Maybe lots of others would chip in a little. It could add up quick. A Yahoo front page ad of WUWT would let 1,000,000’s of people know about the other side of this global warming issue and where to learn all about it!! You’d get to 10,000,000 gobsmacked quick!! Thankyou Anthony, Steve and Moderators for this excellent site. I have been visiting for over four years, but despite avidly reading (almost) every article and blog comment, I rarely leave a comment myself. I do however advertise and praise the site far and wide – with a few science teacher friends now avid devotees. I agree with an earlier comment – the civility that is apparent, information presented, and ideas considered by this site encourage even my teenagers to visit. We all appreciate this wonderful resource. If memory serves, and Anthony and mods are welcome to correct me on this, I found this blog when it had about 2 million hits. Things in the skeptic camp were very different then. Before I found WUWT? the world was a pretty bleak place where those who did not tow the party line were outcast and made to feel they were the only ones who questioned AGW. A fringe element. Many of you know that feeling. I still ask myself the hard question ( am I wrong) which is an all important question to ask. It makes you examine all sides of the argument. Keeps the mind from closing. Keeps you humble and striving. Now I know I am not alone in my views and I know that my questions are not regarded as “dumb”. Keep the lines of communication open and keep your mind open. It is the way forward out of the mess created by those who would tell you they have it all figured out. Anthony, you and the mods have made a real difference in my life. I thank you once again. Amen! I’m glad this web site exists! He’s growing exponentially so that would only buy you an offset. I wonder if there’s already a WUWT effect, like the slashdot effect. No offense dude, but last status is “Updated 07/16/2009”. Given recent events, I would suggest that your original blog is of utmost importance. Today I hit GISS and Tamino. At a minimim – good PR. Challenge them please. Just a reminder to new visitors – you can help out. and sign up. No matter which side of the debate you’re on, you’ll be helping the science. Hey, I’ve got a hockey stick graph! Congratulations, Anthony … and from one whose knowledge of climate science has been greatly enhanced by all that I’ve gleaned here (and at Climate Audit), a sincere and heartfelt THANK YOU! May 2010 be a year in which WUWT continues to go from great strength to greater strength! It’s not only the stories that make this such a ‘go-to’ site, it’s the intelligent comments and discussion. Well done all! Great work! Keep the interesting, informative articles coming! I only wish more actively publishing climate scientists would visit using real names and comment on the articles. How can we organize/ advocate/ encourage them to do this? They might come to understand the power of this approach to “doing science,” or at least to informing the broad public in a sensible, scientific way about their science. Finally, while the “live/ real time” element here is awesome, I wish I had some better way of accessing/ organizing previous articles/ threads so as to quickly locate information to share with others. Hope you can do something along these lines in 2010. Keep up the great work; maybe, just maybe you can play an important role in putting the “science” back into “climate science” (and getting the politics out by informing people so they realize they ought to vote out of office any politicians using the AGW hypothesis as an easy target for tax revenue. Grats Anthony on an amazing year. For what its worth RC just passed 10 million hits after five years online. 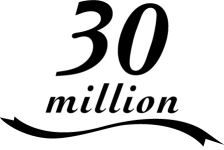 Yet 30 million is a small number considering the importance of the subject. It’s less than one visit per adult Dutchman since the inception of the blog. Any person with access to internet and an inquisitive mind should visit WUWT at least once a week. Hence there is a potential for billions of hits per year. We have to encourage family, friends and colleagues to get acquainted with WUWT. That’s really the only way to educate the masses and for politicians to take notice of dissenting opinions. Yahoo has ~181 million visits a day by ~71 million people in the U.S. Yahoo is ranked 3rd over all of most visited sites after Google and Facebook. Even Yahoo mail is ranked very high. A banner ad in Yahoo mail would reach a lot of people. I should have said “one visit a year” per adult Dutchman. a) Allowing dessenting / AGWers comments without filtering unlike RC. b) Great, regularly updated content. I think that anyone with a Facebook account should log-in and get stuck in there. WUWT and CA have two supporters there (Willis and Hilary), they need more now! Willis made an excellent comment trying to explain the scientific method to these ignorant people but they’re just not having it and are unable to point to any example of non-science on WWUT or CA. Well done Anthony & team! Since directed here by Chris Booker, its become a daily read – really informative. Whenever climate change comes up in conversation with friends, I tell people visit this site read the posts and make up your own mind. Is the science really settled? Is the debate really over? And is the “science” of AGW compelling? I think you have made a major contribution by facilitating the distribution of information to a global audience. I have certainly learnt a lot, and I just love Leif’s posts when he is on a roll! Happy New Year from a very cold England – keep up the good work! Don’t want to be the techo-geek in the room, but the accepted term is ‘pageviews’ now. ‘Hit’ is very 1997. Still, 30 million of them, that’s a lot of pages served. Happy New Year from Aus! Thank you Anthony. I’ve learned much here. This would seem to support starting a new “Tips & Notes” page more frequently. Suggest every week. Again, congratulations. Congratulations Anthony and WUWT for such a well deserved increase in your blog traffic. Your blog is certainly one of the best resources out there and it continually gets under the skin of the warmists and alarmists, which can only be a good thing. Your increase in terms of tens of millions in such a short time certainly puts my little blog into perspective as I was excited getting about 1000 hits a month which suddenly increased to 1000 hits in about two and a half weeks. So once again, Anthony… very well done and keep up the excellent work! It’s been a helluva wild ride the past two months since Climategate broke. I used to come here maybe once every two weeks, but since mid-Nov. I’ve become accustomed to visiting daily and often spending a whole lot of time here. Thanks for staying so active over Christmas/New Year’s.